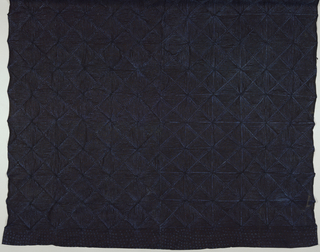 See more objects with the tag women's clothing, trade, diamonds, funerals, subtractive, African, Kalabari. This is a Pelete bite wrapper. It is dated 1930s and we acquired it in 1988. 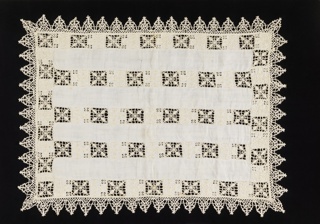 Its medium is cotton and its technique is factory-woven plain weave, withdrawn-thread work. It is a part of the Textiles department. 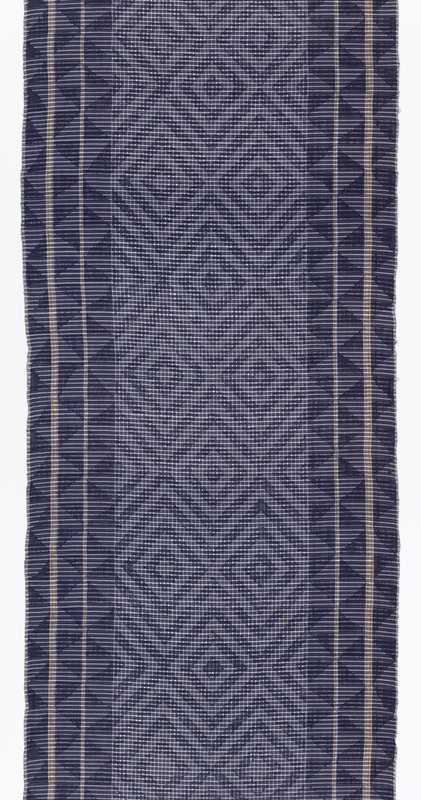 M. Catherine Daly, Joanne B. Eicher, and Tonye V. Erekosima, “Male and Female Artistry in Kalabari Dress,” African Arts 19, no. 3 (May 1986): 48. 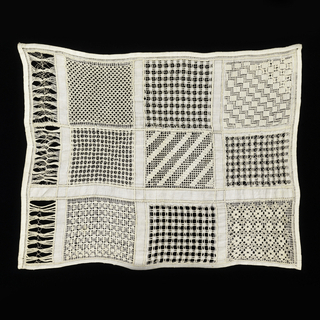 Joanne B. Eicher, “A Ping-Pong Example of Cultural Authentication and Kalabari Cut-Thread Cloth” in Appropriation, Acculturation, Transformation: Proceedings of the Textile Society of America 9th Biennial Symposium, Oakland, October 7–9, 2004: paper 439. 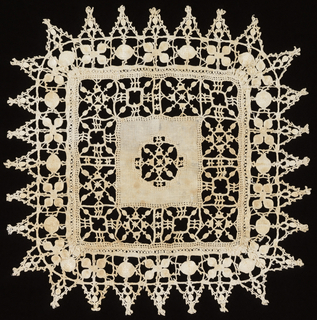 This object was featured in our Object of the Day series in a post titled Making is Un-doing. This object was previously on display as a part of the exhibitions	Esperanza Spalding Selects and David Adjaye Selects: Works from the Permanent Collection.